Every year we pine for the World Championships to see who will be crowned with the rainbow jersey, but secretly we’re always just as excited to see the custom paint jobs that the racers kit out their bikes with. 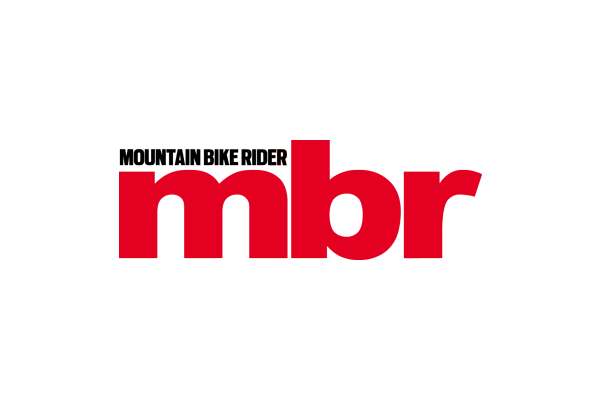 This year is no exception and the racers have gone to town on colour schemes and anodised components to give themselves that little extra motivation for the race on Sunday. 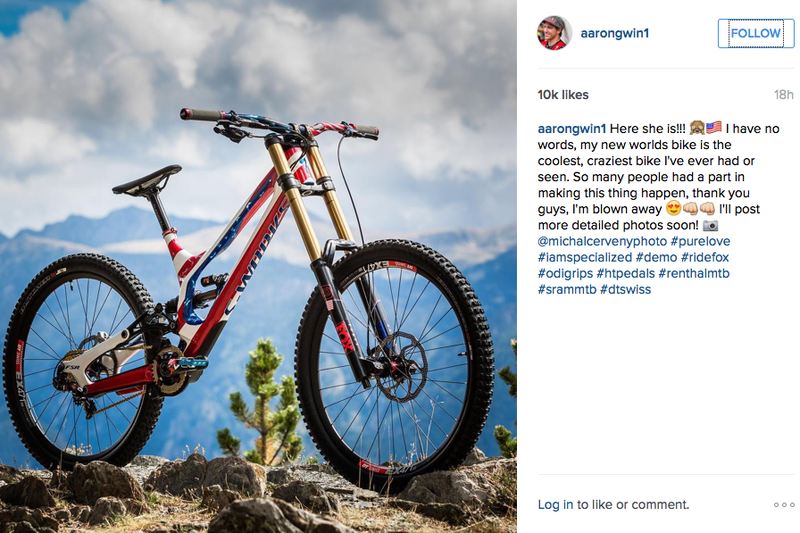 Everybody is keeping an eye on Aaron Gwin this weekend but they’ll be unlikely to take their eyes off him when they see his stars and stripes Demo. We love the colour co-ordinated bars as well. Rachel has gone for a Union Jack themed bike that will match her National Champion sleeve, will she have a rainbow jersey to accompany it next year? Troy Brosnan has gone for Aussie green and gold on his bike. It also comes complete with the SRAM gold ‘World Championship use only’ drivetrain. Flow like a butterfly, sting like a bee? 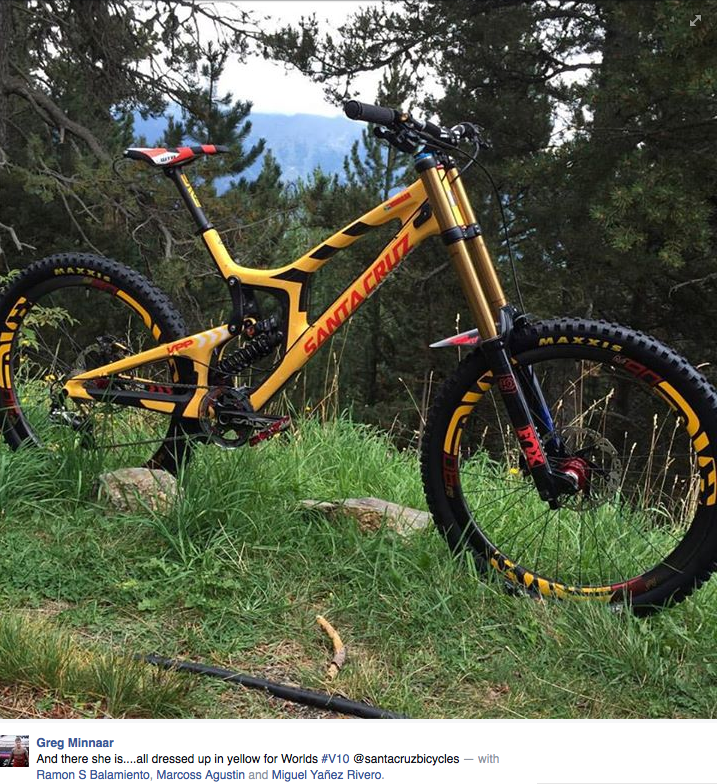 Greg has excelled on the longer tracks this year so expect his yellow and black V10 to be well up the rankings at Vallnord. 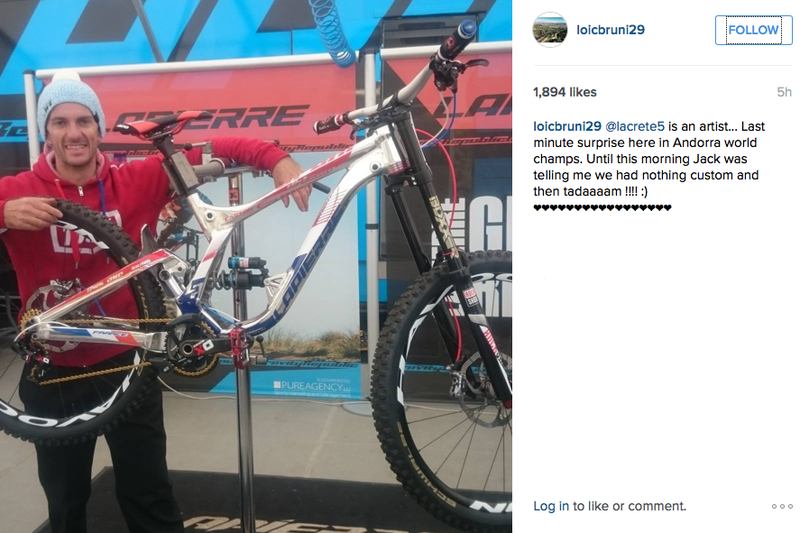 Loic Bruni’s racing superstition is that he must have silver bars, no matter what bike he is on. Now he has a silver bike to go with them. This one comes complete with French red and blue. 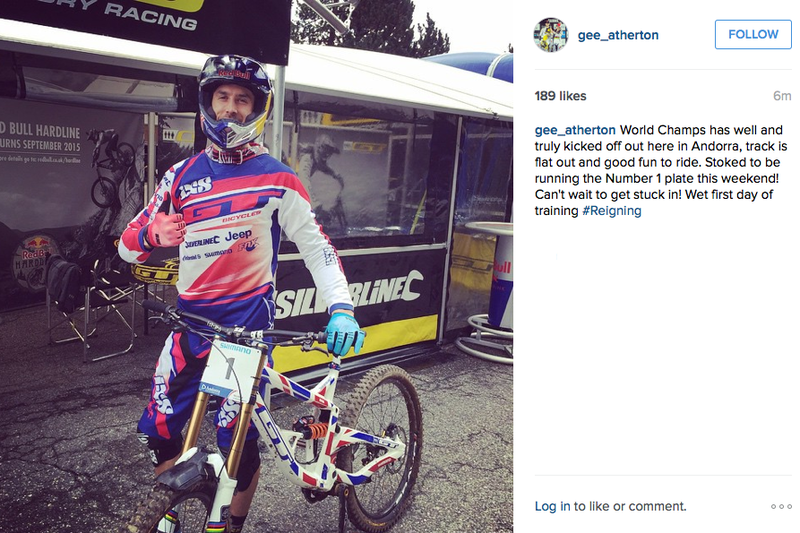 Gee Atherton is the reigning World Champion and is wearing the coveted number one plate with pride. 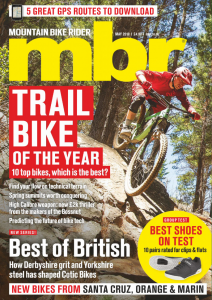 His bike is very similar to Rachel’s but we also like the custom IXS kit he’s wearing. 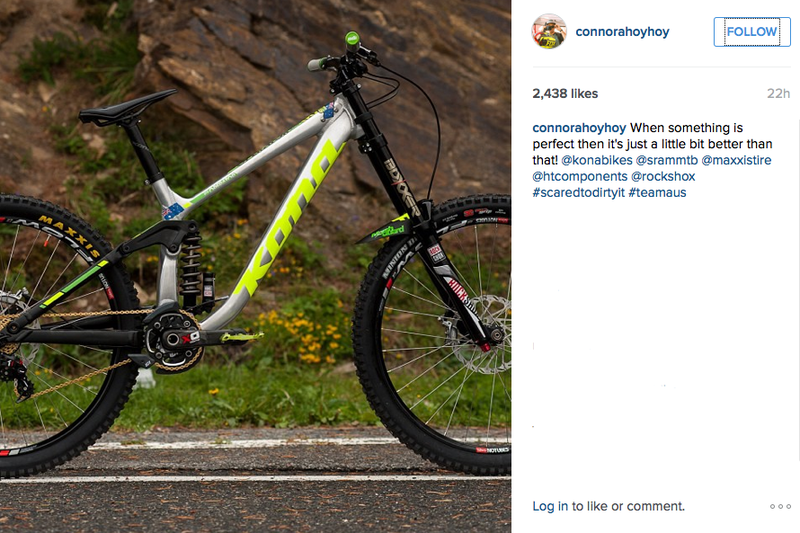 Connor Fearon has gone for a similar green and gold theme to Troy Brosnan, however his is a little more luminous. We love the little touches on this bike like the Aussie flags on the top tube and seat tube. 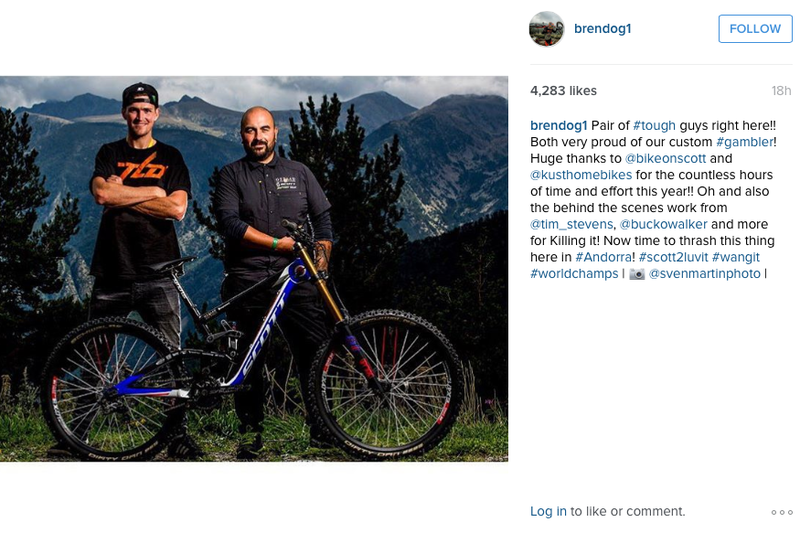 Brendan Fairclough has gone for an RAF theme with a roundel on the headtube – he’s even gone for coloured spokes! Hopefully he’ll be flying high this weekend.